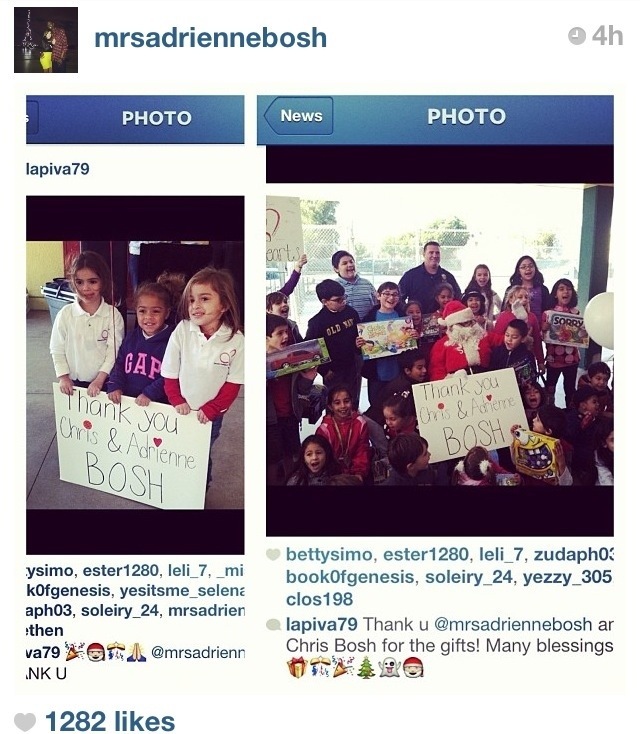 Miami Heat power forward Chris Bosh & wife Adrienne spread around they’re Christmas spirit by doing many acts of kindness. One particular act them giving out Christmas gifts to children. 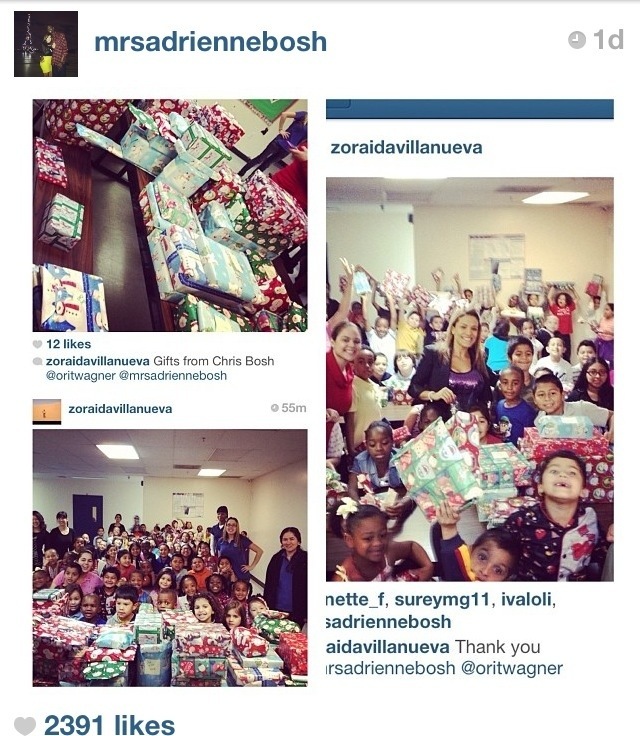 I love to see people who are blessed giving back to those who aren’t as blessed as them. Love this power couple.